Thanks For making EZcalc Diamonds The Best professional and popular Software for Diamond's Today . Chosen by thousands of user's. Top 5 Paid business Application !!! 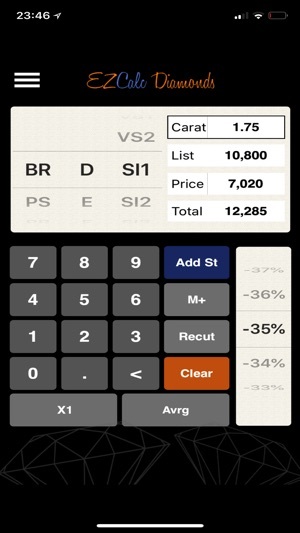 • EZcalc Diamonds is now on sale ! for a limited-time ! Your mobile diamonds business manager . 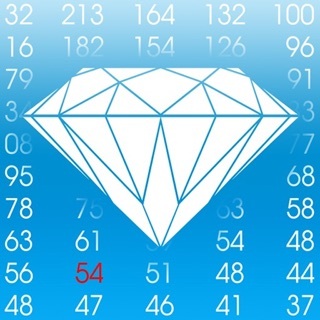 •Search for a Diamond over RAPNET ! After experience of 15 years developing The Best Diamond Calculator Software's for All platforms with a thousand's of users. EZcalc also makes it easy to save reports, send them by e-mail, analyzing the average asking price market, searching Diamond's on Rapnet , get up-to-date with the industry news and more! 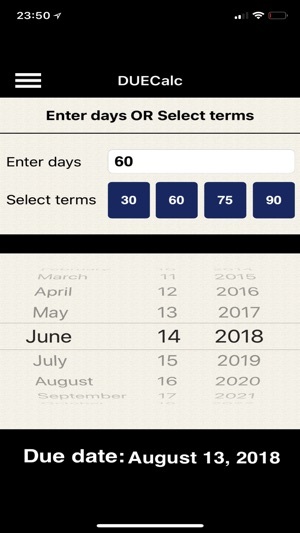 EZcalc has been the best selling software in the pocket PC world for the past 15 years and is now bringing this amazing tool to the iPhone. √ One touch syncronization with the rapaport price list. √ Calculate the price of a stone according to its specification. 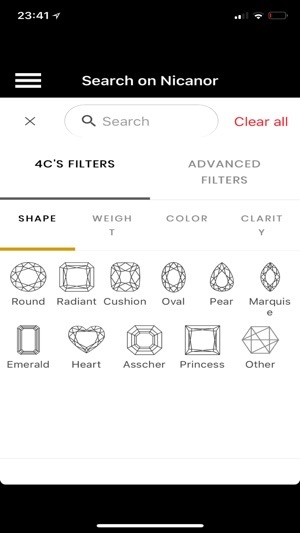 √ Search for a Diamond on RAPNET with one click. √ Ability to save searches . and send them by e-mail. • EZcalc Diamonds is not available with Rapaport lists or relevant data. • analysing market price features required rapaport membership. THANK U EZCALC ! ! ! 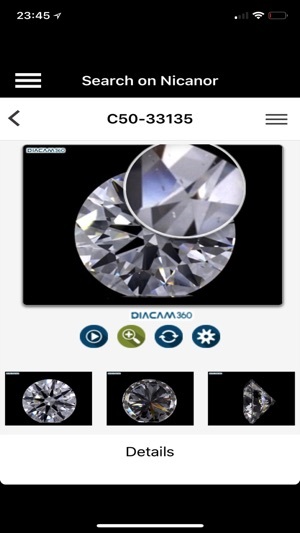 WOW...the best software for diamond dealers,so easy,friendly and useful!!! just one question : where were you before?? ?